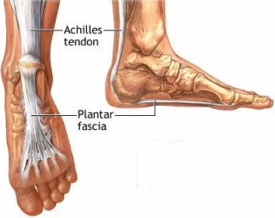 Plantar Fasciitis; a real pain in the……foot! The plantar fascia is a fibrous band that runs from the heel to the toes. 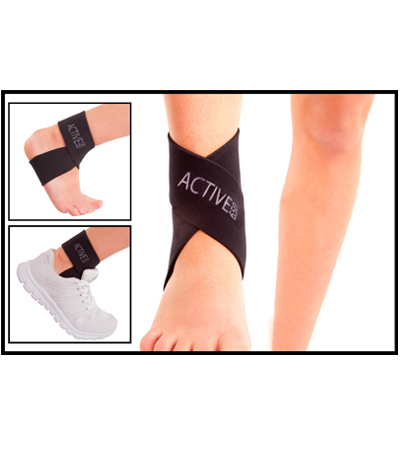 It provides strength, stabilisation and shock absorption to the foot. Plantar fasciitis is a common condition that occurs when the plantar fascia becomes damaged and painful. When the foot is used a lot (e.g. long distance running or walking) micro-tears in the tissue don’t have enough time to heal, and then become irritated and inflamed. The most common symptom of plantar fasciitis is pain on the inside of the heel bone when walking after a period of rest. It is often first thing in the morning when the pain is worse. As the day wears on and the foot is used more the pain often subsides giving you a feeling that “everything is okay to carry on exercising”. This can be dangerous as continued exercise often worsens the condition. The golden rule with Plantar Fasciitis is that you need to stretch the plantar fascia as soon as you suspect it is getting sore or tight. This can be done by pulling the toes back towards the leg or rolling a ball under a bare foot. Whether you are suffering from plantar fasciitis or wishing to stay free from re-injury an Active650 ankle support can lessen the stresses and loads on the plantar fascia, reducing the likelihood of tissue damage. 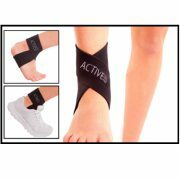 All round support for your ankle, Achilles and plantar fascia.